Good morning! 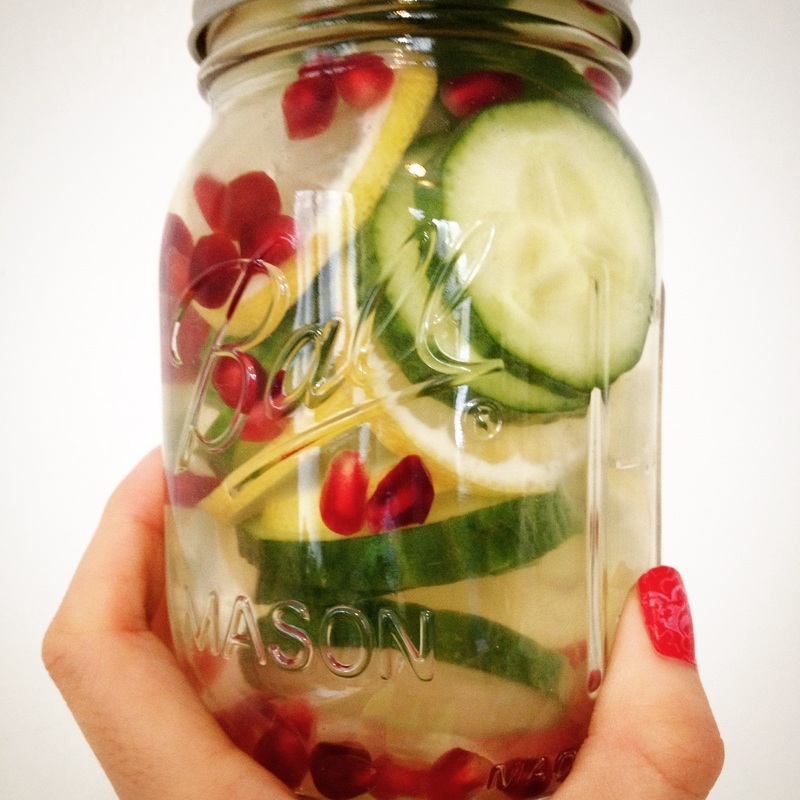 Started off the day by making a quick lemon, cucumbers & pomegranate seeds detox water. I used one small lemon, which I sliced into coins. Lemon juice is known to help stimulate and regulate the digestive track, helping it to flush out toxins. Furthermore, it is high in vitamin C! Next, I used a cucumber that was about 4 inches long, cutting that into coins as well. Cucumber contains citrulline, which is an amino acid that aids the liver and kidneys in removing ammonia. Cucumber is also full of vitamins A, K and calcium! Lastly, my favorite is the pomegranate seeds. I just scooped in half a cup of them to the water. Pomegranate is amazing because it boosts your immune system, lowers your blood pressure, is high in fiber and helps keep your skin youthful – all while tasting amazing!